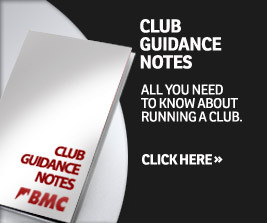 New support programme for members of BMC affiliated clubs. Get skilled up with an instructor from Plas y Brenin at a reduced rate! The BMC is working in partnership with Plas y Brenin to offer BMC affiliated clubs the opportunity to hire an instructor for a day at a subsidised rate. The club will have a choice of the course to be delivered, and will be able to arrange a mutually convenient date directly with Plas y Brenin. This programme has been developed to enable club members to further their knowledge in climbing, hill walking, scrambling or winter skills. It is hoped that these members will then be able to support other club members so that the knowledge gained will be kept within the club. What can our club get from this programme? On the application the club must identify what activity they wish the instructor to deliver, and when, approximately, they wish the instruction to take place. Incomplete applications will not be assessed. Applications will be considered on a first-come-first-served basis with a final closing date for applications at 10am on Tuesday 30th April 2019. The programme will close earlier if all the funding has been allocated. Each club may only apply for funding once. The successful clubs will need to complete their booking direct with Plas y Brenin by Friday 17th May 2019; the training session will need to have been completed by Wednesday 31st July 2019. Failure to meet the deadlines may result in the funding being re-allocated. Successful clubs will be asked to complete a simple feedback form which must be returned to the BMC immediately after training has been provided. All those who attend the training must be full club members of the club. The club is responsible for confirming the details of their booking with Plas y Brenin and completing the payment of £70 to secure an instructor on their preferred date. Clubs will not receive any funding directly, that transaction will be managed by the BMC and Plas y Brenin. Accommodation, travel and any other expenditure is not included within the programme.